We are supporting the Ovarian Cancer Research Fund Alliance (OCRFA). With every purchase of this special Teal Ribbon Bouquet, a 15% donation will be made to OCRFA, an organization dedicated to fighting ovarian cancer. We at California Blooms have a personal connection to this devastating disease and we are dedicated to do all we can to help. We have re-named the bouquet in honor of our founder's mother, Geraldine, who was taken by this terrible disease in 1994. 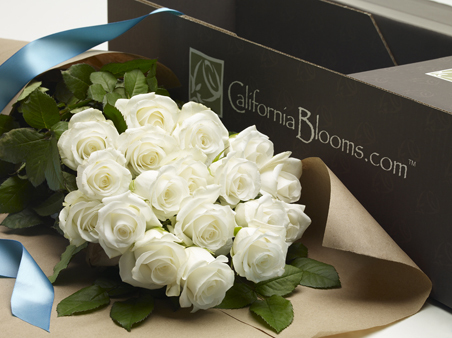 The roses in this special bouquet are a soft and delicate white. Each rose is hand selected and cut at the peak of its growing cycle. Each bouquet is tied with a teal ribbon. 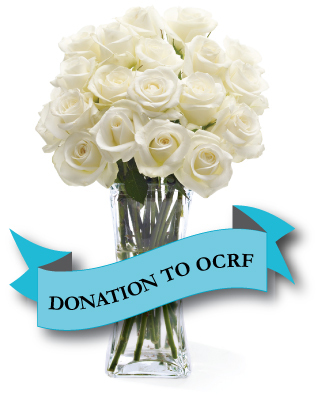 Join us in the fight against ovarian cancer by purchasing a bouquet today! Thank you for your support.